Our caring and compassionate veterinary team! Dr.Taylor grew up in Wichita, Kansas and decided when she was 5 years old that she would be a veterinarian and work with cats. She received her undergraduate degree at Friends University with a Bachelor of Science in Biology and a minor in Chemistry. She graduated from Kansas State University College of Veterinary Medicine and immediately came to work the Cat Clinic in June, 2008. In 2012, she married DeWayne and purchased the clinic from Dr. Schomacker that same year. In 2013, their daughter Jasmine was born, followed by Ariel in 2016. They share their home with two cats – Ishta, who is our clinic cat Ophelia’s daughter; and Thumper, a Manx who was added to the family on Jasmine’s first Christmas. They also have George, who decided he wanted to be a clinic cat after Jasmine was born. We welcomed Dr. Dechant (aka Dr. Bonnie) back to the Cat Clinic of Johnson County in April, 2014. She previously worked at CCJC from 2004 to 2009. During her hiatus from clinical practice she worked full time as a shelter veterinarian and advocate for feline care. 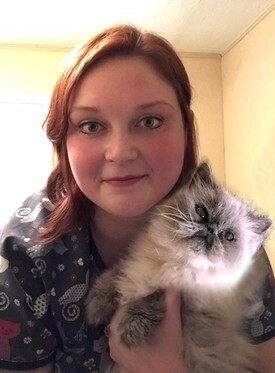 She continues to work part time in an area animal shelter, but is happy to be back working in clinical practice. Dr. Dechant grew up in the Kansas City area and graduated from Blue Valley High School. She received her undergraduate degree in Animal Science and DVM (1997) from Kansas State University. 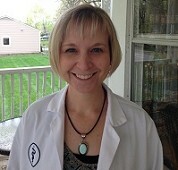 Dr. Dechant lives in Olathe with her son David. They share their home with 2 ornery cats – Turbo–(David’s devoted cat); and Gato-(who is totally in love with the family dog Ava.) Ava as a Border Collie mix takes her job of monitoring the feline and child activity very seriously. Bonnie and her son both enjoy riding their horse Maddy, a 24 year old Paint, while Bonnie’s Quarter Horse, Hunter is retired and enjoying pasture life. Outside of work and her son’s activities, Bonnie continues to follow her passion for mission work. She has been on construction and veterinary mission teams to New Orleans, Mexico and most recently on her first trip to Haiti. Applied Science. Hannah is also a Fear Free Certified Professional. cats that are not thrilled about going to the vet. cat that decided he was going to be a part of her family. spending time with the fiance and family. 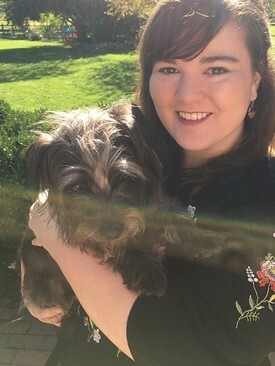 Karen, a graduate of Brown Mackie College, is a Registered Veterinary Technician. She and her husband, Steve, have a dog, cats and tortoises. They built a catio onto their home so that the kitties can safely enjoy the great outdoors like their other pets. In her spare time, Karen enjoys painting and gardening. She spends time tending her Bearded Iris collection as well as her cactus collection. Even though Karen lives in Kansas, she has a love of the sea. She researched, wrote, illustrated and published a book about mussels. She also has a collection of sea shells. Quite a diversity of interests! Brandi’s smiling face is one of the first things clients see when coming to the clinic. 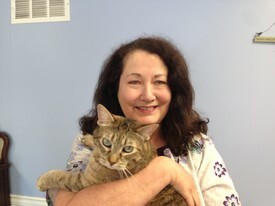 Her many years of customer service experience enable her to make clients and their cats feel comfortable and welcomed. Brandi lives in Waldron, MO with her husband and two daughters. She also has two West Highland Terriers, Jake and Jill, and a cat named Lucky. Her home is also known to always have several stray cats that she takes care of and finds homes for. In her spare time, she loves spending time with family, traveling, and trying new restaurants. In her free time, Roberta enjoys bike riding, other outdoor activities, and spending time with her three granddaughters and their parents. really enjoys working at the Cat Clinic and spending time with the cats. Abigail loves taking care of our boarding kitties. She has one cat at home, "Mr. Chunkles" that she has had since 2013. When Abigail is not at the Cat Clinic, she spends time taking classes in psychology at Johnson County Community College. She also enjoys taking part in outdoor activities. 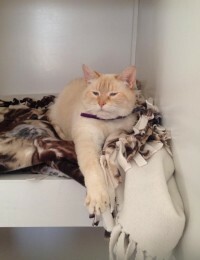 George is a very handsome 12 year old flame point Siamese mix. He is another of Dr. Taylor’s furry children. Although he prefers his solitude in back away from all the females, when he strolls up front you cannot miss him! 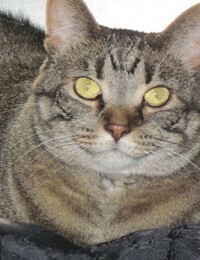 Ophelia is a beautiful shorthair patch tabby. She came to us in 2009 with kittens. All were adopted but one named Ishta who went to live with Dr. Taylor. Ophelia is our unofficial clinic greeter and will happily accept all affection! She can usually be found on our front counter.